The Garden furniture picnic table set BRATISLAVA-OR made of metal and wooden slats. 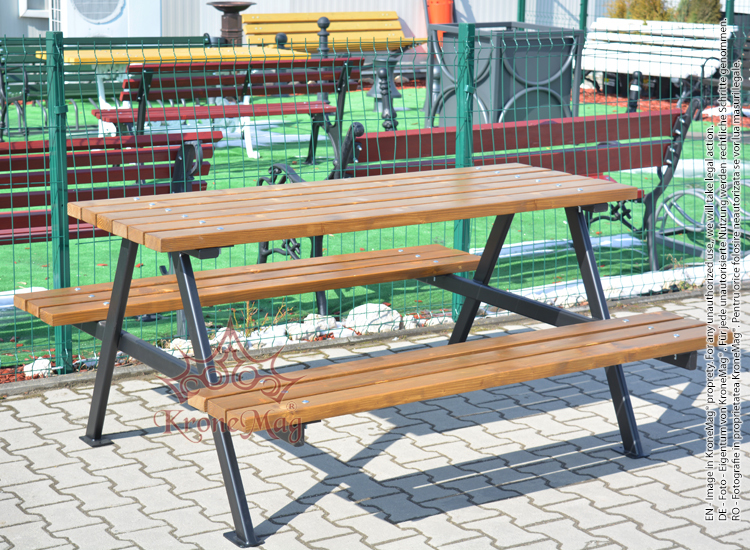 The picnic table set is designed for gardens, recreation areas and other place for relaxation. The garden table set is composed from one table and two benches.